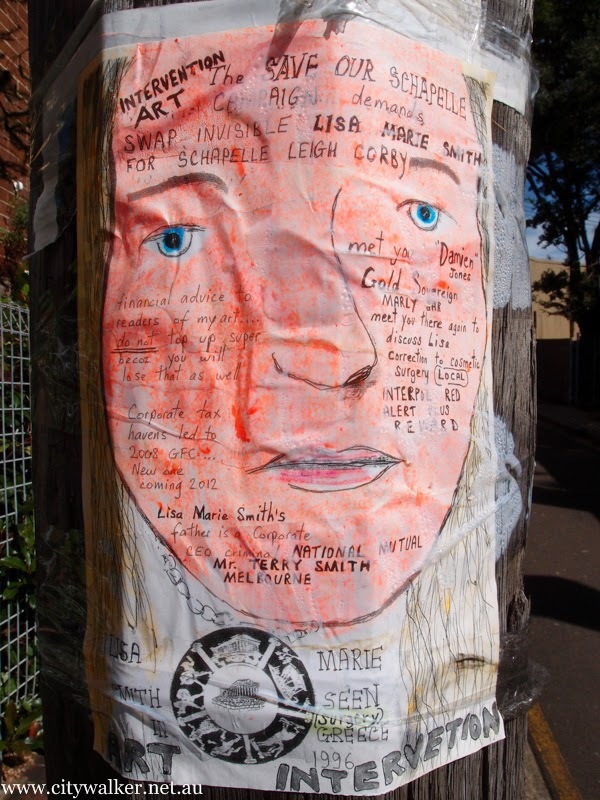 Found another Lisa Marie Smith piece today that I've walked past a thousand times before on the pavement up the top (city) end of King Street, Newtown. Another piece found out the front of an abandoned house on Carillion Ave, Newtown. Another Lisa Marie Smith piece down the South-ish end of King Street. Another piece down the alley behind The Sly Fox Hotel. 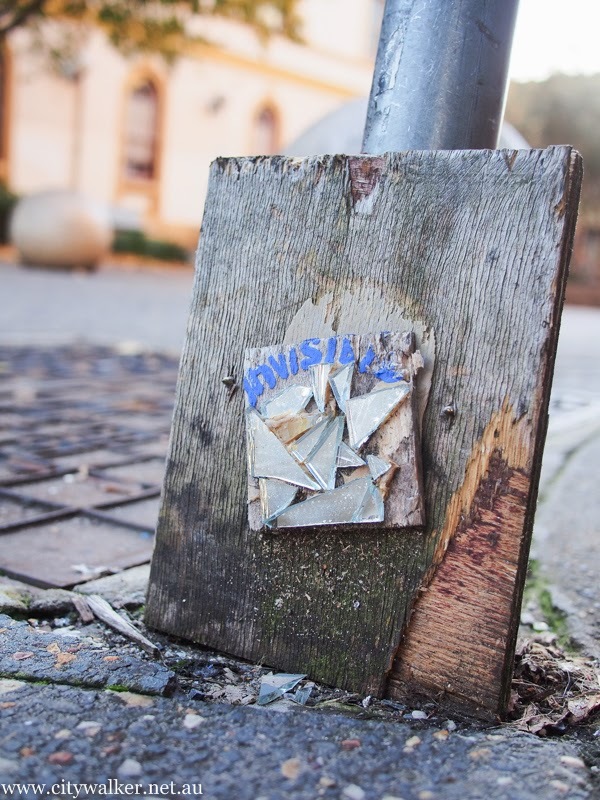 Another piece on the South-ish end of King Street. I googled up Allison Joy Gooch and the most excellent pavement graffiti blog Meganix reports she was killed hit'n'run around that spot in 1996 at 3am. Another Invisible Man piece, outside the Enmore\Newtown scary pedestrian\grafitti tunnel. 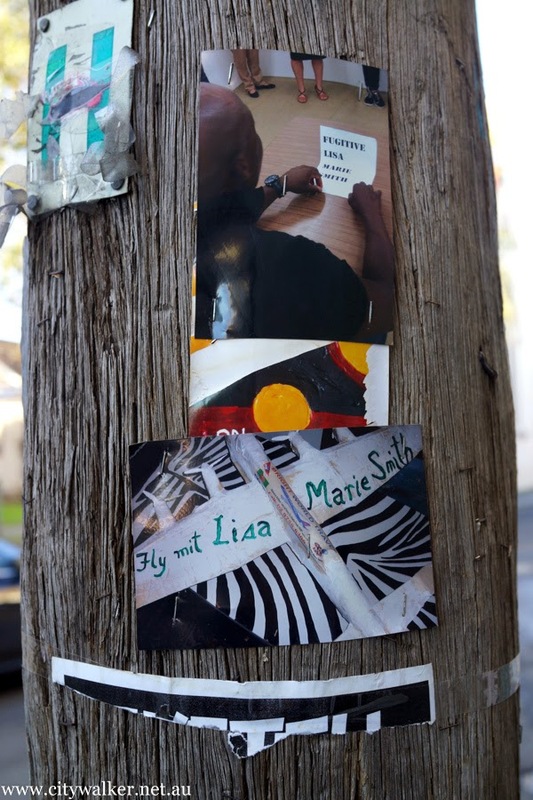 Another Lisa Marie Smith piece at the front of an abandoned house in Carillion Street, Newtown. 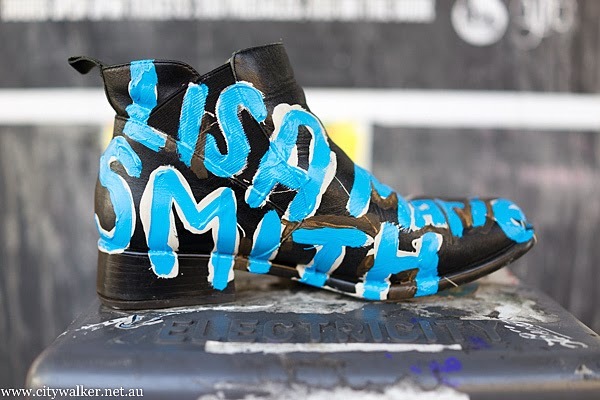 Invisible Man you are my favourite, saw this Lisa Marie Smith boot on an electricity box, King Street Newtown.